The steel industry has many examples of environments with extreme requirements in terms of temperature, mechanical forces, vibrations and shocks. For such types of applications, we have designed the 1000 series. 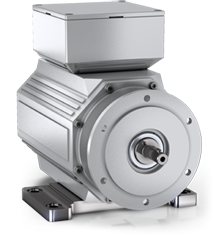 An encoder series with exceptional durability, suited to an exposed environment. Thanks to a high encapsulation level the encoder’s internal parts are protected from dust and liquids. We can manufacture the product in stainless steel on request. We offer different incremental and absolute interfaces, or combinations thereof in a single product. The absolute interfaces available include SSI and EnDat as well as fieldbus communication.